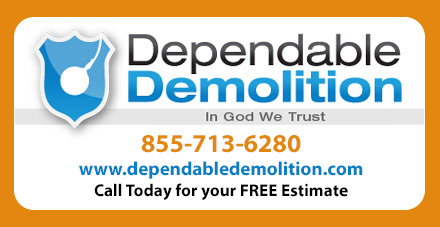 Dependable Demolition is committed to finding you reliable and trustworthy demolition services anywhere in Florida. Whether you need swimming pool removal or recycling, Dependable Demolition is there to give you the professional service you deserve. Dependable Demolition provides you with the convenience of a local demolition contractor along with the consistent quality of an established national company. We guarantee Florida residents simple and reliable service to accomplish any size demolition project. Looking for building demolition contractor in Florida? How do I get a rough estimate of the project price? Whether you are demolishing a house, commercial building, garage, driveway, swimming pool, etc. there are often several consistent factors that will affect the cost. During your on-site estimate, make sure to ask your contractor about these considerations to make sure you have an accurate estimate. 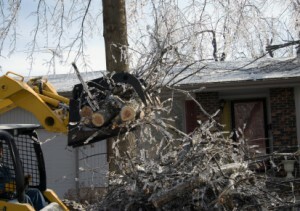 Dependable Demolition is there to get the job done. Call toll free 855-713-6280. Dumpster Rental and Disaster relief provided by networking with organizations such as FEMA, Home Land Security, Red Cross, and your local city code enforcement. Dependable Demolition also offers discounts to all tax exempt customers including all churches, the disabled, veterans and many more non-profit organizations. Call today to get started. 1-855-713-6280.